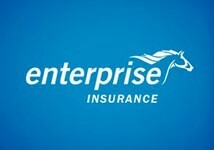 Enterprise Insurance, taking its roots from Royal Exchange Assurance Corporation (UK), is the first and largest private, non-life insurance company to have been incorporated in Ghana. This limited liability company was registered on the Ghana Stock Exchange in 1991 and is currently among the highest ranked general insurance companies in the Club 100 listing. The company works hard to pursue its mission, to"… provide all who come into contact with us their desired ADVANTAGE because…we are the best at what we do!" This has been made evident as it was given the Gold Award in Business and Financial Services Excellence Awards by Global Credit Rating of South Africa, for its admirable claims paying ability. /Group Accident Policy, Assets-All-Risks Policy, Motor Insurance Policy, Contractors-All-Risk Policy, Employers Liability Policy, Customs Bond Policy, Employers Liability Policy, Customs Bonds Policy, Erection All Risk Policy, Fire Insurance Policy, Fidelity Guarantee Policy, Goods-In-Transit Policy, Burglary (Business Premises) Policy, Money Insurance Policy, Cash–In–Safe Policy, Public Liability Policy, Marine Insurance Policy, Home And Personal Assets Protection Policy, Consequential Loss or Business Interruption, Professional Indemnity Policy, Enterprise Home Insurance, Electronic Equipment Insurance, Enterprise Travel Insurance, Product Liability Policy. Donating GHC85,000 to the Plastic Surgery and Burns Centre of Korle-Bu to aid in attending to the 3rd June disaster. Partnering with Zawadi Africa to sponsor two brilliant but needy students through their education in KNUST. Beginning a construction project for the SOS Village in Asokore Mampong worth GHC435,000. Donating cash worth GHS100,000 and an insurance cover worth GHS8.4 million towards the “Save a child, save a mother” initiative of the First Lady.